Which F1 rookie faces the toughest challenge in 2019? Crash.net's Lewis Larkam looks into the challenges facing F1's latest batch of promising rookies as F2's class of 2018 prepare for their respective grand prix debuts. Over a decade has passed since the last time the top three finishers in Formula 2, or GP2 (as it was then known), graduated to Formula 1 for the following season. Back in 2009 it was champion Nico Hulkenberg, Vitaly Petrov and Lucas di Grassi who all made the step up to F1, following on from the success of the leading trio of Nico Rosberg, Heikki Kovalainen and Scott Speed from GP2’s inaugural season in 2005. 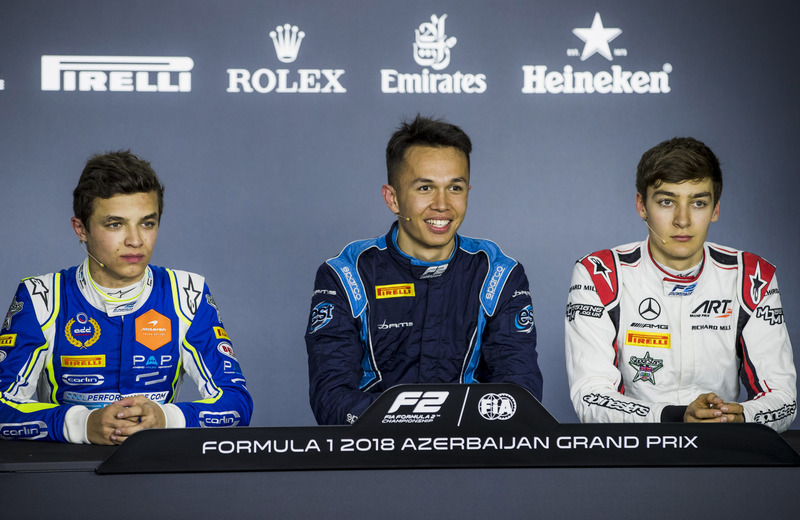 This year sees the feat repeated with the F1 debuts of reigning champion George Russell, runner-up Lando Norris and third-place man Alexander Albon, each of whom have landed seats at Williams, McLaren and Toro Rosso respectively. Russell, Norris and Albon will all be challenged heading into the dawn of their respective F1 careers, but which rookie faces the most daunting task? Russell, a Mercedes-backed prospect, followed in the footsteps of new Ferrari driver Charles Leclerc by producing back-to-back title triumphs in GP3 and F2 en route to F1. The manner of his latest success was particularly impressive, given the resilience he showed in bouncing back from a plethora of car reliability issues that threatened to thwart his and ART Grand Prix's campaign. Russell ultimately prevailed, notching up seven victories in the process to seal his third championship title in five years. The 20-year-old heads to a Williams squad looking to recover from one of its worst-ever seasons in F1, having finished bottom of the constructors’ championship for the first time in its history. The legendary British outfit has suffered a dramatic fall from grace since its glory days of the 1980s and 1990s, winning a race on just one occasion since 2004. A switch to the all-conquering Mercedes power units brought vast improvement at the start of the V6 hybrid era in 2014 but after a period of initial success, Williams has steadily dropped down F1’s pecking order, and produced the most uncompetitive car on the grid in 2018, scoring just seven points. 2019 marks a big year for Williams, when it will field a totally revised driver line-up featuring Russell and the returning Robert Kubica. How Russell fares against the one-time grand prix winner will be fascinating to watch unfold. Williams hopes the blend of Russell’s raw talent and Kubica’s vast experience, along with a significant reshuffle to its technical department, can help spark a much-needed revival. Mercedes will be keeping tabs on Russell’s progress as it continues to evaluate its driver options beyond the end of the current campaign. Reigning world champion Lewis Hamilton is tied down until at least the end of 2020, while Valtteri Bottas finds himself under pressure to deliver off the back of a poor 2018. 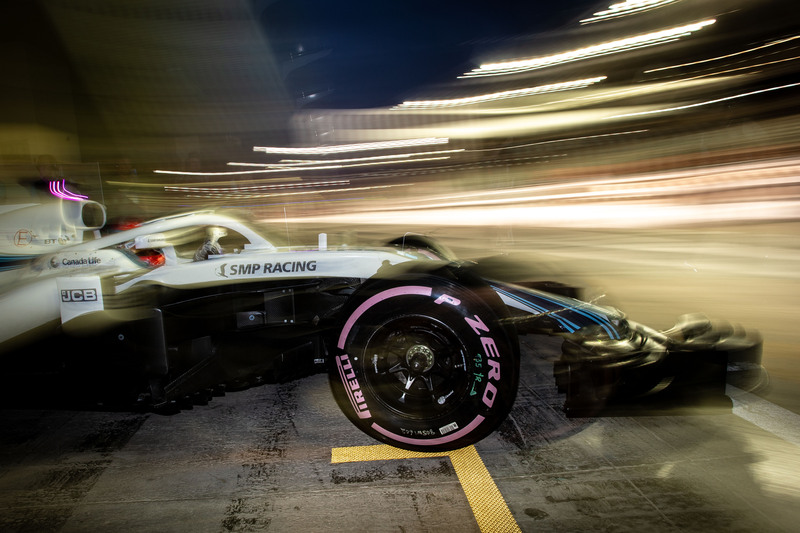 Esteban Ocon, who is absent from the F1 grid in 2019, is primed and ready to take advantage of any potential slip ups from Bottas, while Russell will be keen to make a strong impression to strengthen his own future prospects with the German manufacturer. Lando Norris headed into his rookie F2 campaign as the talk of the paddock following a tremendous single-seater career and rapid rise up the junior ranks that had heralded at least one title in each year of competition, as well as a spot in the McLaren junior ranks. Entering last year as the reigning European Formula 3 champion at just 17, expectations were naturally high for the sensation dubbed as Britain’s next superstar. Norris looked well-placed to underline that hype after taking the first pole and win of the new season, but some weaknesses in race management ultimately proved costly as the season wore on, enabling Russell to streak clear, with Norris failing to win again. 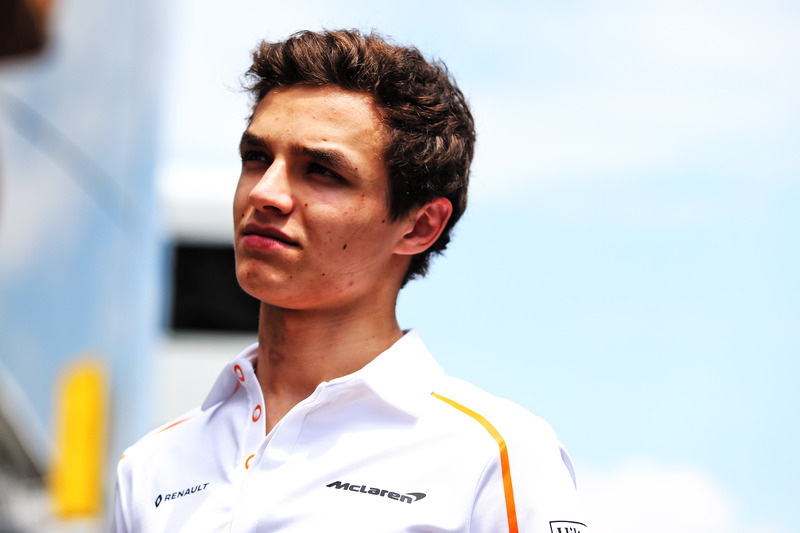 Norris, now 19, becomes part of one of the least experienced driver line-ups McLaren has fielded in years. He links up with Carlos Sainz Jr, who has replaced fellow Spaniard and two-time world champion Fernando Alonso following his exit to seek new challenges outside of F1. McLaren has made a number of key appointments as it bids to recover from another torrid campaign. A switch from Honda to Renault engines paved the way for some progress, but the Woking squad failed to achieve its target of returning to the podium in 2018 as it moved up to sixth place in the constructors’ championship with one of the worst cars on the grid. A poor start to the year cost Eric Boullier his job and led to a string of changes to McLaren’s technical department. For 2019, the team has hired ex-Porsche LMP1 boss Andreas Seidl to lead its F1 operation, while highly-rated design chief James Key will also arrive to provide a much-needed boost to McLaren’s technical department. Not since 2007 and a certain Lewis Hamilton has a rookie tasted instant success at McLaren. Norris will find himself under scrutiny from the off in a pressured environment of a team desperately in need of a change of fortunes. McLaren has pledged to be patient with its latest star as Norris looks to avoid a similar fate to the one that fell on his predecessors Stoffel Vandoorne and Kevin Magnussen. 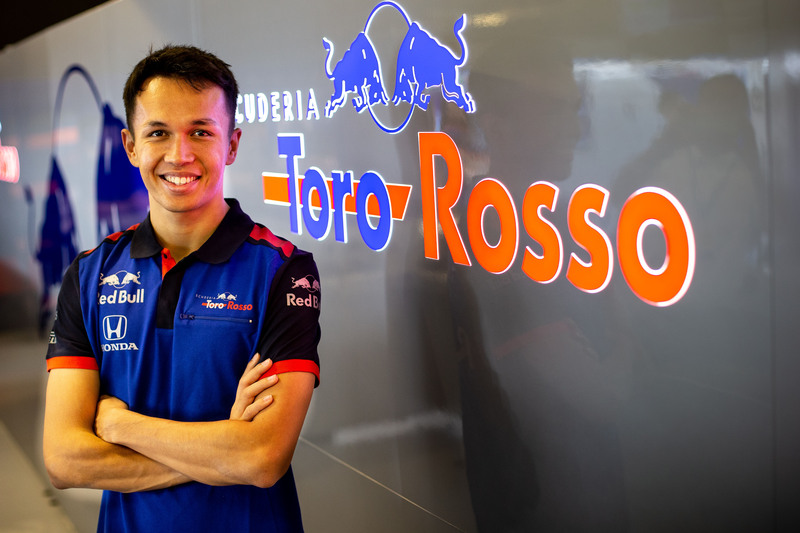 Alexander Albon’s road to F1 is a story of incredible determination with the British-born Thai driver working his way up to becoming an underrated star of F2 in 2018. His 2019 began with uncertainty as he started the year on an initial race-by-race deal with the DAMS squad but he would carve out a mightily impressive campaign that saw him emerge as a genuine title contender. Granted, he boasted an extra year’s experience compared to his rivals, but that does not take away from his achievements. Albon racked up three straight poles and a win across the opening four rounds of the season, resulting in him securing a full-time drive by Spain. Further wins were claimed at Silverstone, Hungary and Sochi as Albon firmly established himself as Russell’s main competitor with Norris’ championship challenging fading, before he ultimately had to settle for third spot in the standings after a sub-par season finale in Abu Dhabi. Nevertheless, a strong campaign overall earned the 22-year-old a race seat at Toro Rosso, where he will make his grand prix debut bow having never previously had any running time in F1 machinery. That alone would be a tough task for any F1 newcomer but Albon finds himself (back) in the Red Bull pen having previously been dropped from its notoriously-harsh driver programme which has chopped and changed its drivers frequently over the years and made headlines for its yo-yoing treatment of the returning Daniil Kvyat. An unpredictable driver market might have handed Albon some leeway in 2019 given that the Red Bull senior team now has a youthful line-up consisting of Max Verstappen and Pierre Gasly and does not currently have a wealth of juniors vying for a seat at the Faenza outfit. Albon has blossomed and bounced back impressively from a tough start to his single-seater career. While his talent has long been obvious, he often found himself overshadowed by the achievements of his rivals - notably in 2016 when he ran new Ferrari driver Charles Leclerc close to the GP3 title. In 2019 Albon will finally be provided with the chance to shine on the main stage - he also needs sufficient time to develop.